1 Box of 100 individually sealed and sterilised disposable needles. 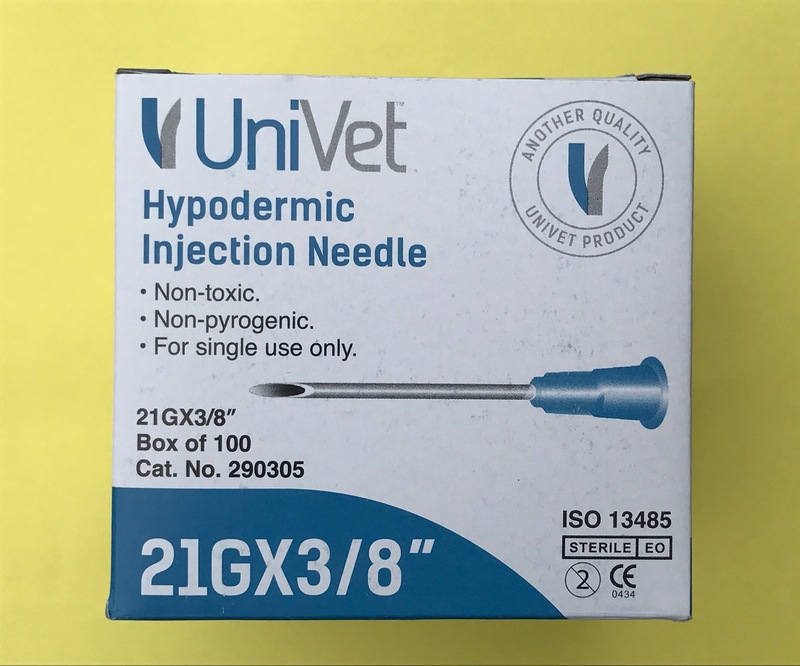 Ideal for alpaca subtucaneous injections. Also a great size for piglet injections.